New Insect Guide EP - The 5 O'Clock Recordings - Pre-order now. Well, it's that time of year again. Xmas is nearly here, and what better way to welcome in these Dark Days And Nights than with the brand new (and very limited edition) EP from Insect Guide. The 5 O'Clock Recordings (that's 5 a.m, naturally) is available for pre-order and will be released on 20th December on Dead Penny Records. We will only be getting a very small number of these, so snap one of them up before it's too late. The packaging is stunning, and so is the musical content! 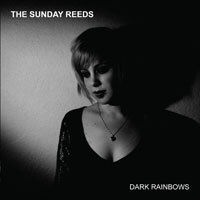 New EP Release From The Sunday Reeds - Dark Rainbows - Coming Soon. The next release on Squirrel Records is going to be a fantastic 5 track CD EP from The Sunday Reeds. Following the release of their brilliant debut album on Squirrel Records, and hot on the heels of their recent UK shows that certainly picked them up several new fans, we're releasing Dark Rainbows. This will be available to pre-order very soon, so keep checking back for availability. Special Offer - The Insect Guide - 6ft In Love CD/DVD Half Price!!! 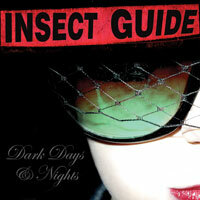 Have you picked up a copy of the new Insect Guide album, Dark Days And Nights? Well, if so, do you also have the debut album that was released in 2007 and is now in short supply? If not, here's your chance to grab yourself a copy before they're gone now—at half price. Just Squirrel's way of saying thanks to everyone who has ordered the new Insect Guide album. We've been snowed under with demand for it. To celebrate just how fast the brand new Insect Guide CD/DVD is selling on pre-order here at Squirrel, the nice folks of Insect Guide have given us 4 beautiful colour prints and some pin badges that will be given away FREE with every order of the new album until the end of October. Everyone of you who has ordered the album so far will also receive these goodies with your copy. Everyone gets all 4 colour prints and 1 pin badge. Exclusive to sales through the Squirrel Records website for a limited time only. First up, thanks to everyone who is pre-ordering the new Insect Guide album. Dark Days And Nights CD/DVD is now officially the fastest selling release on pre-order we've ever done on Squirrel Records. Keep the orders coming in folks!!! 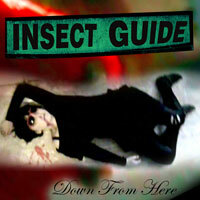 You can also now purchase the 3rd and final limited edition CD single from Insect Guide here too. Be quick with this one though as we've only got a very small number available. Here at Squirrel we're proud to present the brand new album from one of the best (maybe even THE best) noise pop bands around at the moment—Insect Guide. Dark Days And Nights is full to bursting with fantastic fuzzed up sounds, and this limited edition CD also comes with a superb bonus DVD documentary (see the trailer on the ordering page). I know we say this often, but this really is absolutely essential if you like your music dark, fuzzy and delivered with full force pop hooks. Released October 13th, but pre-order available right now. New Releases From The Insect Guide And The Blanche Hudson Weekend—Coming Soon!!! After a few delays and setbacks, we can properly announce the brand new album from The Insect Guide, Dark Days And Nights, will be released on Squirrel Records very soon. It's set for an October release, and as announced previously, the first 500 copies will come with a bonus DVD which features promo videos, documentary footage, live footage... basically, it's a fantastic 45 minute mini-movie. Keep your eye on the Squirrel Records website because you'll be able to pre-order this essential CD/DVD very soon. And following shortly afterwards, we'll have a CD compilation from The Blanche Hudson Weekend for you. Entitled Reverence, Severance And Spite—this CD will feature all the single tracks released by the band so far, plus a bunch of brand new and exclusive recordings. When put together, it all adds up to a bumper collection of quality noise pop gems that really should not be missed. This will also be available to pre-order soon, and is scheduled for an official release in October. Fresh over the Squirrel HQ threshold today, a box of Insect Guide CDs. This is their latest CD single release, Wasted, and features 3 tracks. A perfect (and essential) companion to their earlier Dark Days And Nights CD single and every bit as collectable. STRICTLY limited edition, so please be quick!!! The Manhattan Love Suicides - Burnt Out Landscapes CD - Sold Out!!! The last remaining copies of the Squirrel Records version of The Manhattan Love Suicides Burnt Out Landscapes CD have just been sold, so unfortunately we don't have any copies of this release in stock at Squirrel Records anymore. If there's still enough of a demand for this compilation then we'll re-print it and it'll be available again soon. But in the meantime, if you want to pick up a copy of the CD that is fast becoming a genuine cult collector's item for the discerning fuzz pop fans out there, then you can still pick up the U.S import version on Magic Marker Records from us... and now at a discount price too. Exactly the same track listing, but slightly different artwork from the UK version. Yeah, we know we said it'd be available in June, but hey, the weather is nice so why the hell not? You can get your orders in now for the new 7" single from The Blanche Hudson Weekend. The release date for this is pencilled in for 21st June and is strictly limited edition as usual. All those of you waiting for the new Insect Guide album will have to wait just a little bit longer. Sorry about that. The album will now be released in August, and copies will be available for pre-order late July. The new Blanche Hudson Weekend 7" (Hate Is A Loaded Gun EP) will be next up on the label, and will be available for pre-order in June. So keep an eye out for that one. Coming very soon to Squirrel HQ will be a box full of copies of the brand new CD from The Manhattan Love Suicides which is being released by the brilliant Odd Box Records. This is the very last thing The Manhattan Love Suicides will ever release. It's the fully re-mastered 6-track radio session recorded Easter weekend 2009 for Dandelion Radio. Grab yourself a copy while stocks last. Squirrel Records Spring Clean Sale—Almost Over!!! Thanks to everyone who has placed an order over the last few weeks from our list of stock in the spring sale. You've helped to clear some space for the upcoming Squirrel Records releases. If you're planning to take advantage of our special offers, please do so quickly as the sale ends this coming Friday (30th April) After that date, all the remaining Squirrel stock that was in the sale returns to the full price. 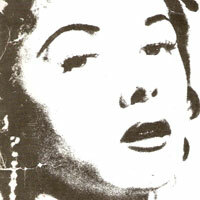 And following shortly after that will be the next 7" single release from The Blanche Hudson Weekend. This one will be entitled Hate Is A Loaded Gun EP and will feature 3 brand new tracks. Look out for this one on pre-order around early May 2010. Just ahead of their forthcoming album which will be released on Squirrel Records very soon, we've got a strictly limited edition Insect Guide CD single available for you to pick up. And what a collector's piece this is too.... a jet black CD pressed to resemble a 7" single with actual vinyl grooves (don't try spinning it on a turntable though, it won't work that way) It also comes with a black single cover and hand numbered fold out CD artwork. Grab one while you can, as they're strictly, strictly limited edition and we only have a few in stock. Squirrel Records Spring Clean Part II: Prices Slashed On Various Items!!! Just go to our Discography section, select the item or items you wish to purchase (all prices include shipping too) and press the "buy now" button. Grab a bargain right now!!! The new 7" EP from The Blanche Hudson Weekend is coming very soon on the fantastic Odd Box Records. Titled "The Rats In The Cellar" EP and featuring 3 brand new tracks. We'll be getting a (odd) box full of these within the next couple of weeks, so you can now pre-order your copy. But please be quick as we only have one box heading our way, and as soon as they're gone, they're gone for good. We'd love you to be our friend!!! The Blanche Hudson Weekend - Letters To Daddy 7" Nearly Sold Out!!! A BIG thanks to everyone who has picked up a copy of The Blanche Hudson Weekend 7" and made it the fastest selling single we've ever released on Squirrel Records. There's still a few left, but they're going quickly. So if you haven't got yours yet, then be sharp because they won't be around forever. Obviously, we'll re-press it if the orders keep on coming like this... but get cracking if you're wanting a copy of the first run.